Dishes from Helena’s Hawaiian Foods, definitely one of the unique restaurants in Honolulu. In a city as flourishing as Honolulu, sometimes dinner at a typical chain restaurant just doesn’t sound ideal. Maybe you just want to explore or find restaurants with a touch of uniqueness. From gourmet to casual, we’ve compiled a list of unique restaurants in Honolulu for you to try. People know Alan Wong’s Restaurant as one of the premier dining locations in the city. When Alan Wong began over 15 years ago, critics were skeptical. They thought a restaurant hidden in a run-of-the-mill commercial building with no views would inhibit the restaurant’s success. However, Wong’s has proven that creativity, elegance and quality trump all of this. And now, critics often ranked this restaurant as the one of the best in all of Oahu. Primarily using locally grown produce, Wong advocates investing in the land and in relationships with local farmers. Some highly praised menu items include the 6 to 12 course “tasting the classics” selections. In it, you’ll enjoy kalua pig salad and ginger-encrusted tropical fish. All of which come served with complimentary macadamia nuts at the end of the meal. If you are looking for an unforgettable experience, Alan Wong’s Restaurant will not disappoint. Sourcing their fish from the Honolulu Fish Auction, Nico’s offers fresh seafood at affordable prices. Providing outdoor seating with harbor views, this place comes well-recommended. This is because it has won awards as Honolulu’s best seafood eatery several years in a row. Even the Food Network show, Diners, Drive-Ins and Dives, has featured Nico’s. So whether you want poke, seared ahi or Hawaiian plate lunch, Nico’s is definitely a must-try. Open since 1946, Helena’s won the 2014 Award for Best Hawaiian Food. This family-owned restaurant offers favorites such as poi, lomi salmon, pipikaula, laulau and kalua pig. They also feature butterfish and chicken long rice, all with Hawaiian sea salt and Maui onion on the side. For dessert, try their haupia, which is like a coconut custard. If you are looking for authentic Hawaiian food flavored to perfection, Helena’s is the place to go. Ethel’s Grill is a popular lunchtime hotspot in Honolulu. The modest exterior conceals a restaurant that celebrity chefs, like Roy Yamaguchi, love to frequent. The interior showcases pictures of famous locals, old newspaper articles and art from sumo wrestlers on the wall. Don’t let the décor fool you. Ethel’s won the Silver Medal of the Hale Aina Award 2014 for Best Hole-in-the-Wall restaurant. The tataki sashimi and the jumbo pork katsu are must-haves. For a quick and casual meal, be sure to stop by the Rainbow Drive-In. This classic fast-food joint has been a favorite for over 50 years. 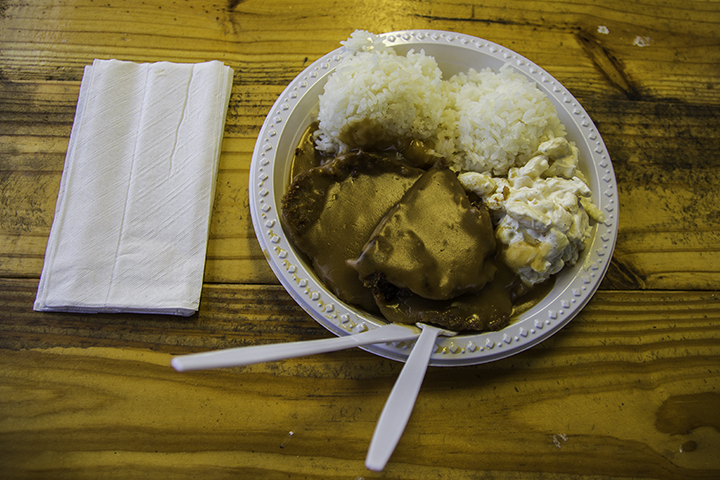 Rainbow Drive-In features the popular loco moco. It’s a dish of a bed of rice topped by a hamburger and a sunny-side-up egg with brown gravy. Although this might not initially sound appetizing, there is nothing hungry surfers crave more than this protein-rich feast. Loco moco, fried rice, chili and mixed plates are some of the most popular dishes. Your Kitchen, located on 10th Avenue, looks like just that. Tucked next to a gallery and hobby store in residential Palolo, this restaurant is truly a hidden gem. Recommended dishes are the pork and steak bowls with marinated meat topped with a soft boiled egg. After that, you should try their shave ice as a dessert. With its wide range of flavors, you can add a touch of mango or passion fruit for a tropical twist. Whatever you chose, this little kitchen is a place you’ll want to visit. This is a family-owned favorite and multiple-award-winning treat shop. When arriving, you will be welcomed in true Hawaiian spirit. Here, you can even meet Uncle Clay himself. And then try tangy or sweet shave ice options in a variety of tropical flavors. This food court in Shirokiya at the Ala Moana Center is a must-see. While you are here, we recommend stopping by Meika Plaza. Then you can choose from vast assay of fruit-based Japanese sweets and European-inspired donuts and pastries. This s a place you don’t want to miss if you have an incurable chocolate craving. You might consider the favorite Frou Frou au Chocolat. You can even try the chocolate lilikoi concoction, chocolate fruit basket or chocolate banana confit. Either way, you will be sure to leave completely satisfied. 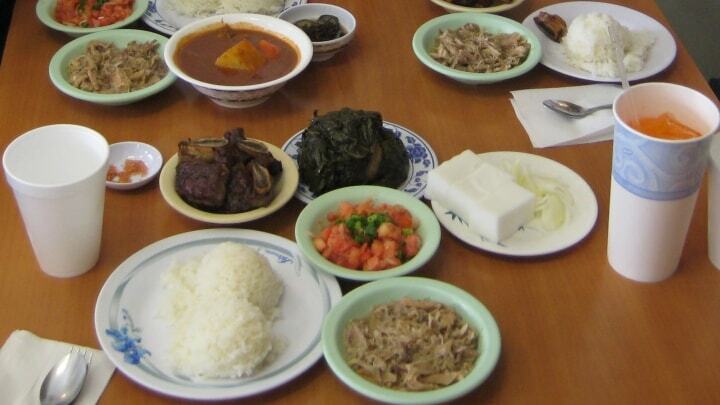 Because there are innumerable unique restaurants in Honolulu, we’re sure you’ll find one that best suits your tastes. This city is sure to impress and delight every visitor with a true taste of Honolulu.